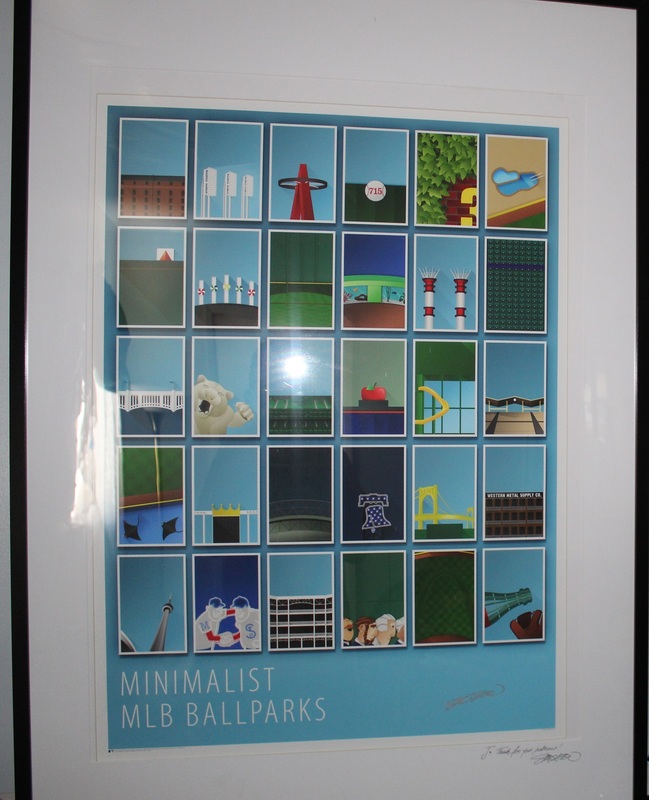 With this baseball season in full swing, I thought I would finally make a post about art. Yes… art. More specifically, baseball art. Aside from collecting baseball caps from each ballpark, I also possess a small collection of various art pieces having to do with baseball. Like many kids growing up, I had those awesome posters of certain players growing up for both baseball and basketball. The first major art piece I hung in my old room is the five Dodgers who won consecutive Rookie of the Year awards from 1992 to 1996 with an image of Jackie Robinson in the foreground. The reason for that was Jack Roosevelt Robinson won the inaugural RoY award, and now that very award is named after Jackie. Oh, Robinson will figure into this post a little later.